The situation escalated from there. Though the team was able to get Dawson’s daughter to safety, when Voight, Dawson, and Ruzek found her kidnapper, the men let (a high) Antonio attack him—until Dawson accidentally threw the man out a window, to his death. But while Voight and Ruzek stood by and watched what went down, Eid says the men won’t “live in a place of regret” over not stopping Dawson. 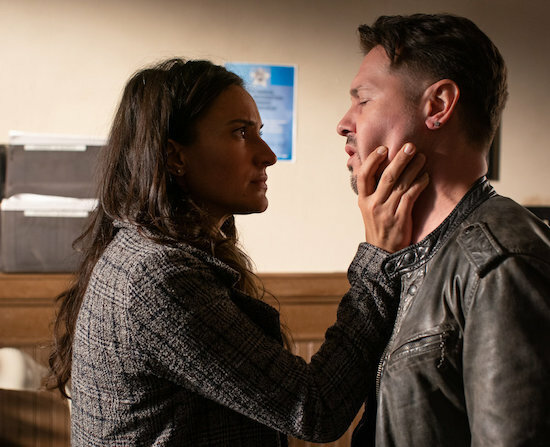 Dawson will have his own struggles as his daughter deals with the ramifications of her attack—“There may be more to come on that,” Eid warns of the EMT’s comment about the marks they found on her body—and he contends with his actions.